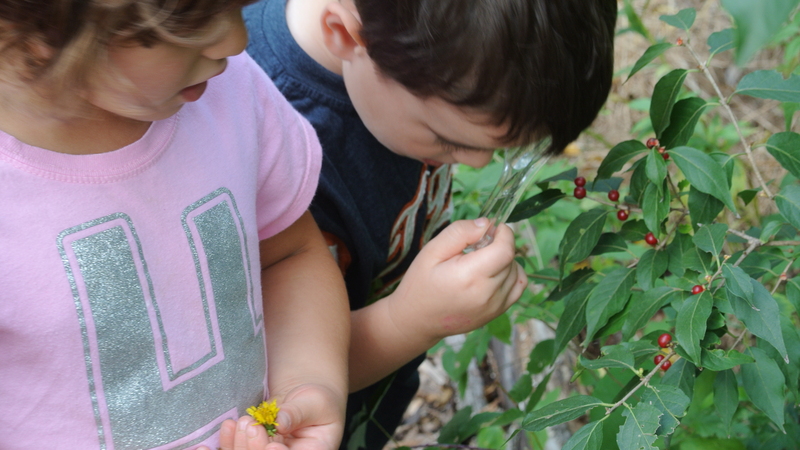 Since Fall is in full swing around here, we decided to go outside and check out the season as scientists! 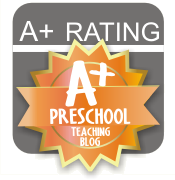 First I equipped each child with a magnifying glass and a container to put their findings. 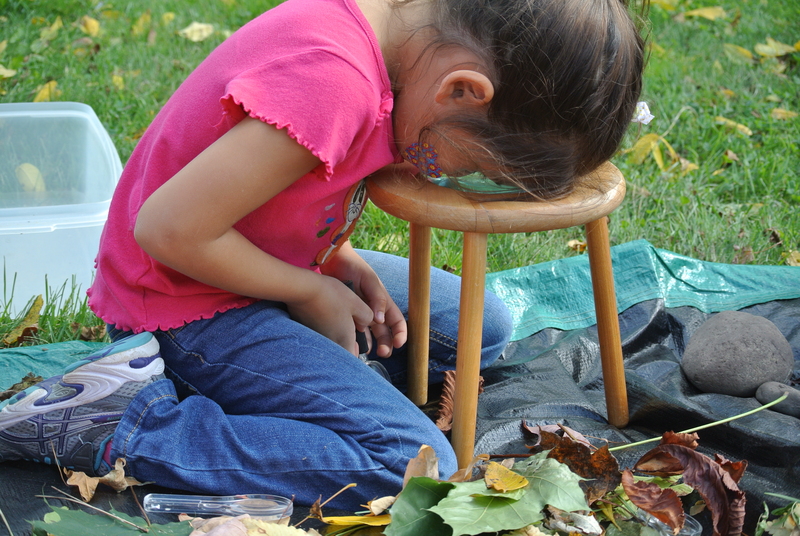 We had a rule that they could only pick up materials that have already fallen to the ground, but they could look at objects still on the plants and trees. This was one of the children’s bins. 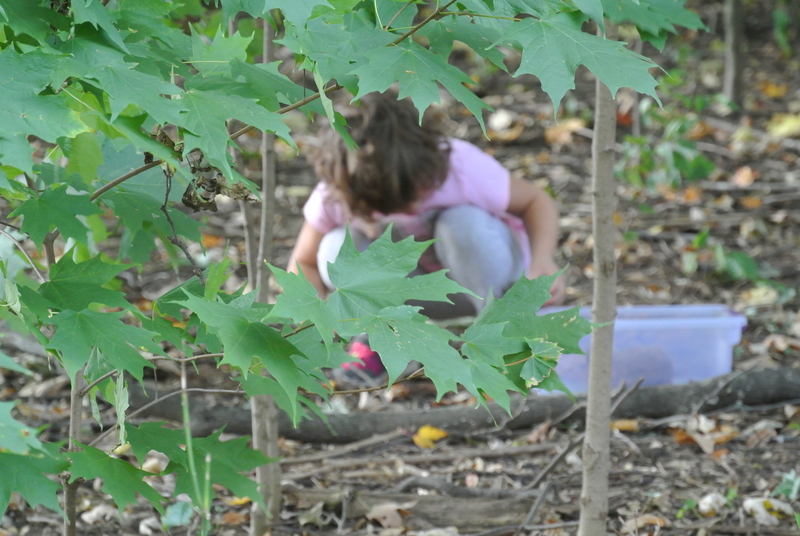 The kids loved exploring their surroundings and looking for signs of Fall. They were so excited when they found something new or in a different color. When they were finished, we dumped all of the bins onto a large tarp that I had spread out. They did such a great job of finding a variety of objects to study! Next it was time to explore their findings! We used a larger magnifying glass. 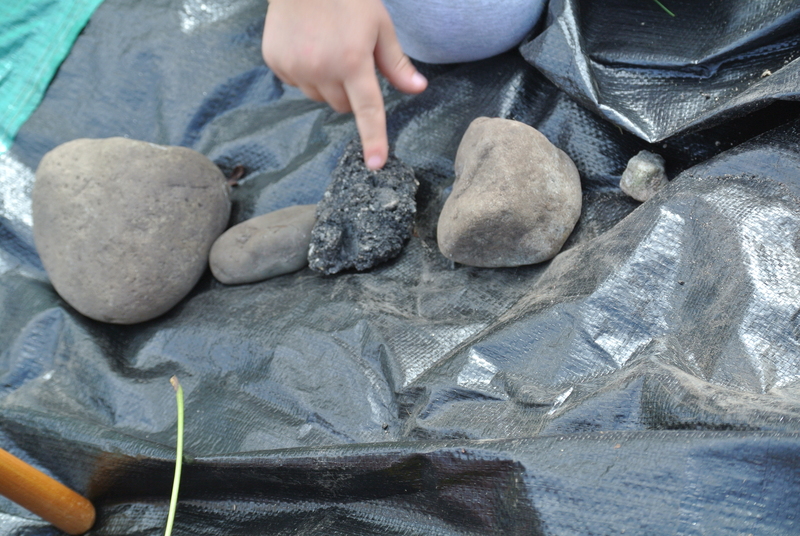 The kids loved turning their findings around and around to observe every bit. It would probably be more effective if they held their heads up, but I guess that it wouldn’t be as much fun! Next we sorted all of the findings. 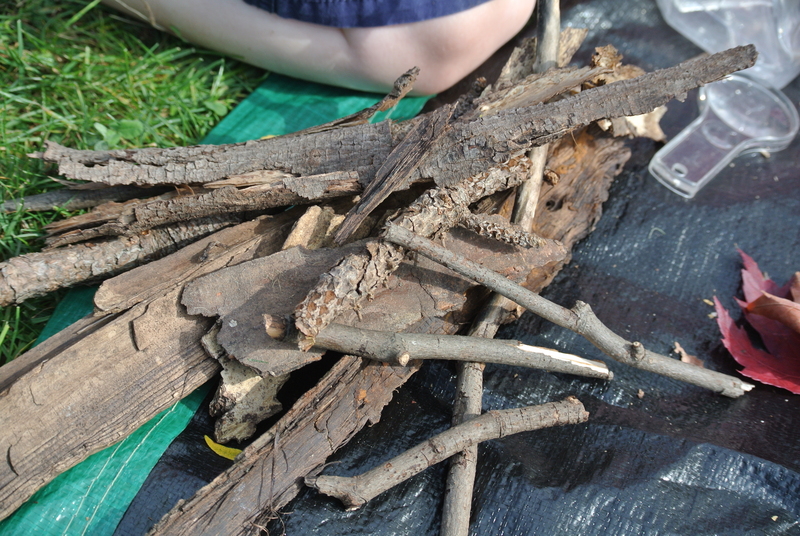 We made a pile of sticks and bark. 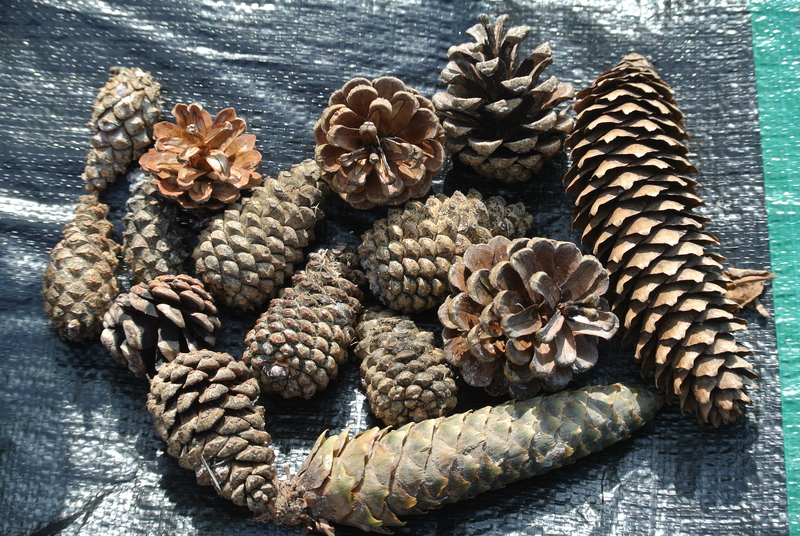 And we made a nice pile of the pinecones. 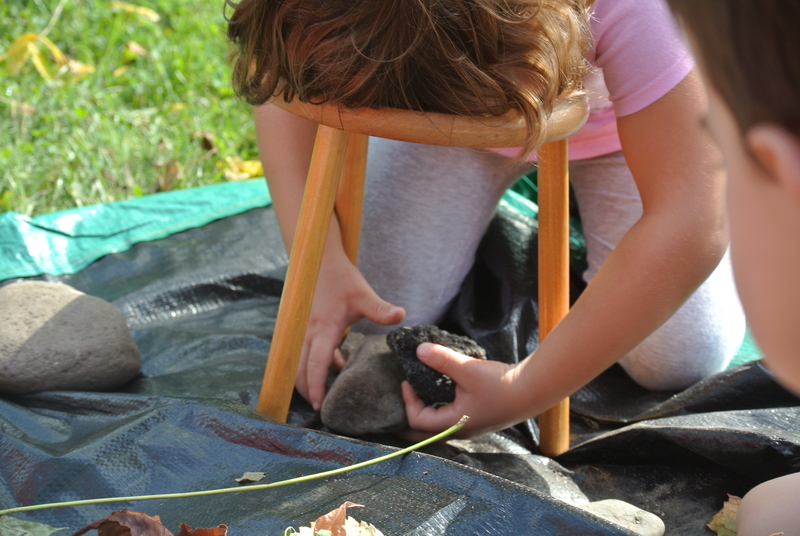 We also made a pile of leaves, rocks, fruit, and seeds. We figured out ways to compare and contrast the different piles. We put the rocks and pinecones in order by size. 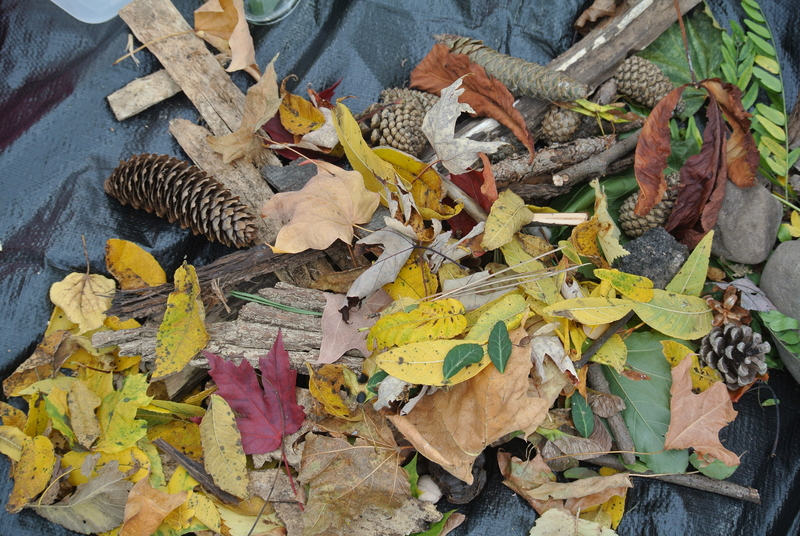 We also organized most of the leaves by color. We also found a tree that we will study each season. 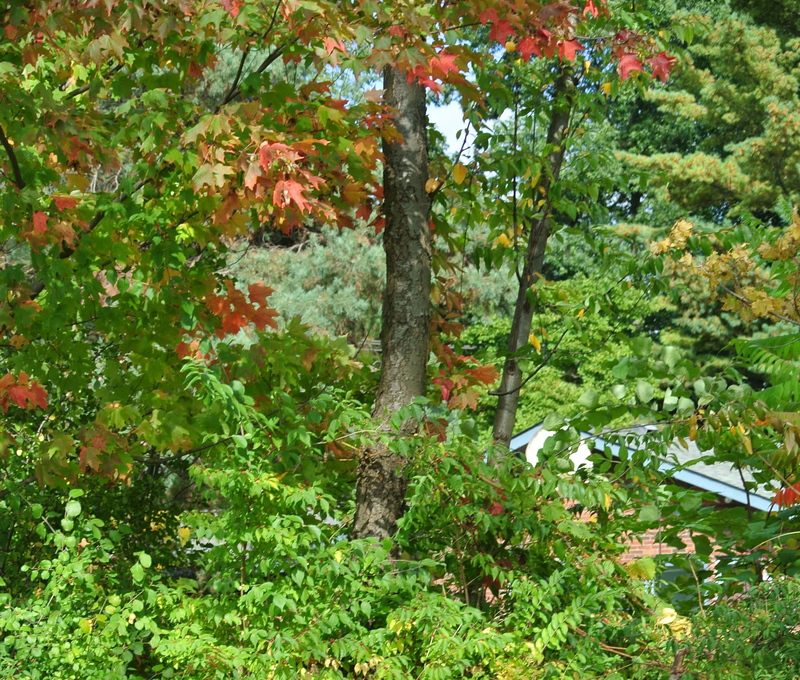 You can’t see all of it in this picture, but the one the kids chose had both green and red leaves. The kids predicted that when we look at our “Future Scientist” tree in the winter, that it won’t have any leave. We shall see! Lastly, the kids filled out their science journals. 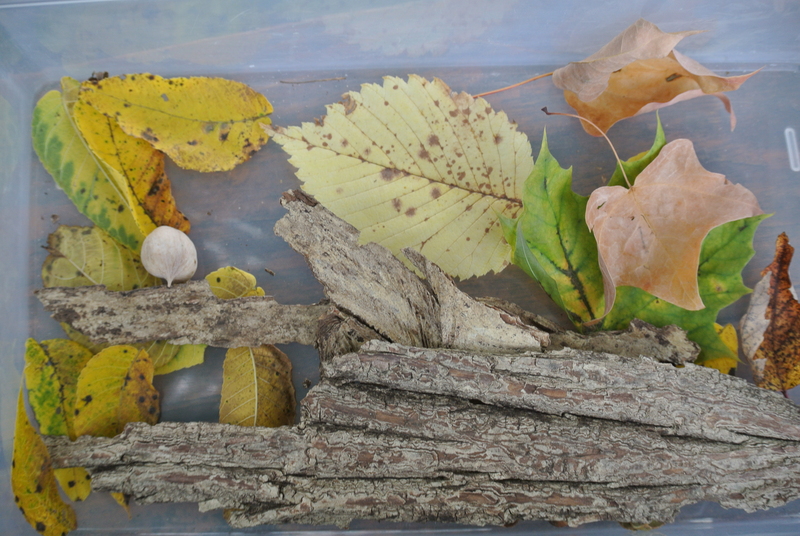 They tried to use the colors of the materials that they had discovered in nature. 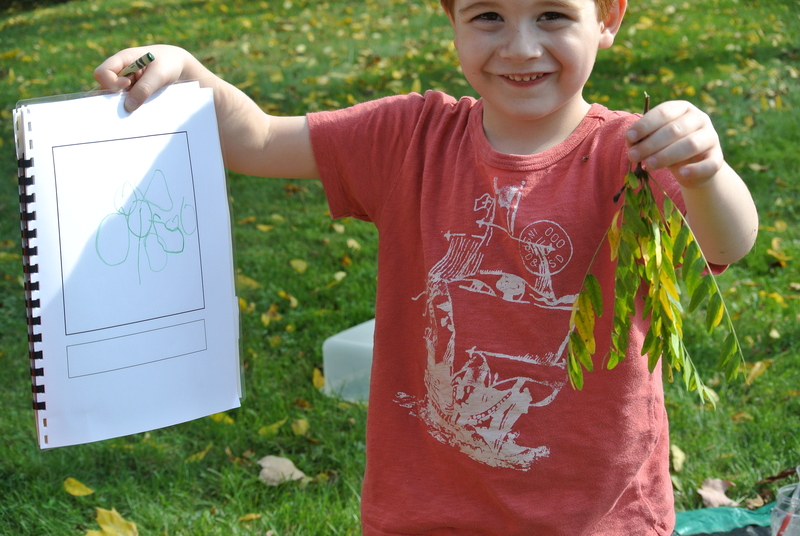 They also chose their favorite leaf and we taped them in their books for future reference. I added a sentence about their learning at the bottom. This class was so much fun! The kids were so excited to be learning outside! Although we had a great time, we squeezed in A LOT of learning. We talked about the different seasons, how scientists use tools, predictions, comparing and contrasting, and sorting.